ALL INCLUSIVE! Truly NEW CONST. Custom Col on 2.58 W/rear woods.9' Ceilings, Office/Study w/closet on Level 1. 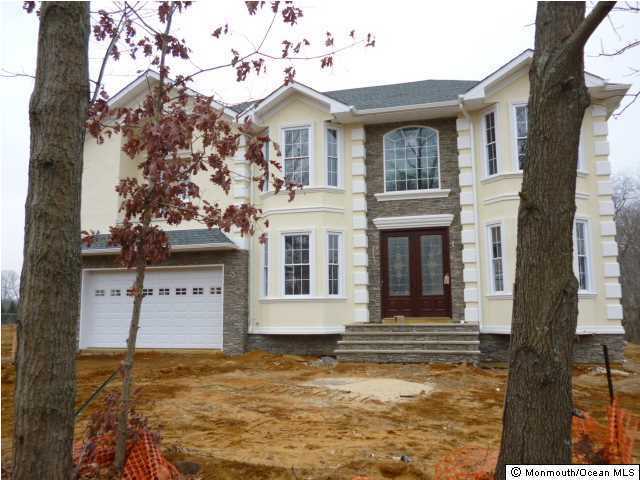 2 Story Foyer, Elegance, Wood Stairs, 6'' Floor Moldings, 12'' Detailed Ceiling Moldings, Custom FRPL, Rec'd Lights/Every Room. Spacious Bdrms, Extra Closets, Custom 6 Panel Doors. Mbr Custom Shower, Closed Lavatory, Jacuzzi, Beveled Glass. Custom Stone Front, Double Door Entry. Offers All Hardwood On Both Levels If You Act Immed.! Delivery 90 days Bldr Lets YOU Design Kit/Baths & Gives Hardwood!